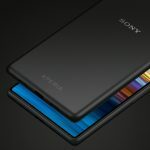 Apr 10th - The Sony Xperia 10 and 10 Plus are solid midrange options that are Sony’s first offering with a 21:9 display. Does the new aspect ratio impress enough to offset some of the downsides? Mar 4th - Whether it’s for business or pleasure, adding a second phone line to your cell phone is a cheap and easy option to keep different parts of your life separate. Here’s how you can add yours in under five minutes. 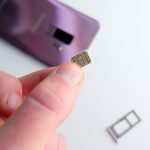 Mar 2nd - The new Samsung Galaxy S10e doesn’t have all the bells and whistles that are packed inside its two larger siblings, but to me, it’s a much better option. Mar 1st - The Huawei Watch GT is a bit odd. 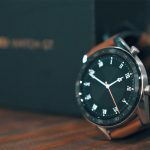 Huawei has chosen to branch out on its own rather than going with Wea OS, delivering a smartwatch that’s different from the rest. 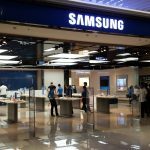 Feb 27th - Flagship smartphone prices are getting out of control. It almost makes me miss the days of restrictive two-year carrier contracts and down payments for a new phone. Are we really better off now? 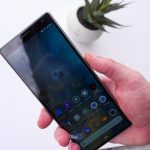 Feb 25th - Sony has officially taken the wraps off the Xperia 1, the first mobile device with a 4K OLED display with HDR support. Feb 20th - Samsung took the stage to unveil more than just phones. 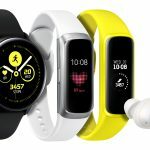 We also got our first look at the Samsung Galaxy Watch Active, Galaxy Fit, and Galaxy Buds. 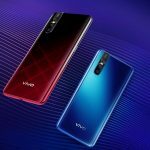 Feb 20th - Vivo is joining Xiaomi to rain on Samsung’s parade today by unveiling the Vivo V15 Pro, a mid-range device featuring a full-screen display and a pop-up selfie camera. 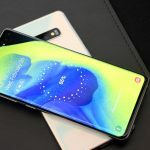 Feb 19th - We’re on the verge of getting our first glimpse at the Samsung Galaxy S10, S10 Plus, and S10e. Here are just ten of the reasons I’m excited for the new phones. 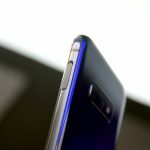 Feb 6th - The Samsung Galaxy S9 and the larger S9+ have a lot to offer with dozens of hidden features that are hidden deep within the settings. We’re hoping some of these tips and tricks will help you get more out of your smartphone. Jan 28th - Samsung has just introduced two new midrange devices which offer incredible battery life and a unique camera experience thanks to their wide-angle camera lenses. Jan 7th - Sony is taking the stage soon to give us a peek at the future of its technology. Click here to watch the press conference and tell us what you think about the new tech! Jan 7th - Samsung is about to take the stage at CES and you can watch it right here! 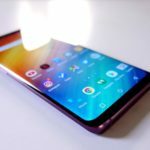 Will we get our first look at the Samsung Galaxy S10? 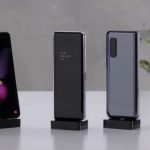 What about the company’s new foldable phone? Click here to find out. 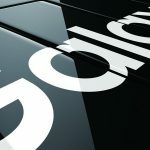 Jan 7th - LG is always a huge attraction at CES, so what did they announce this year? Click here to watch LG’s press conference and see what the future looks like.